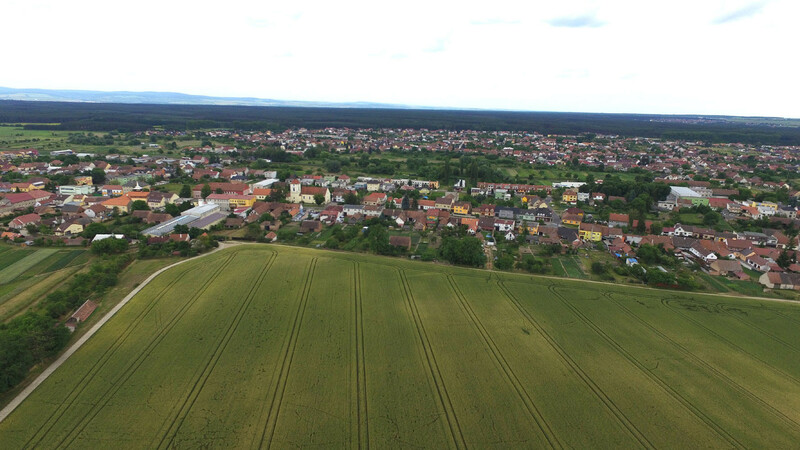 Vracov is a small South Moravian town with 4,500 inhabitants, located near Kyjov. It is bordered by low hills from the north, after which the landscape gradually rises to the nearby Chribes. In the eastern direction, the plain begins to slope slightly for several kilometers towards the Morava River and beyond it is the horizon of the White Carpathian ridge forming the border with Slovakia. From the south, the city is surrounded by the vast Doubrava pine forest, covering the entire unique sandy plain of the Moravian Sahara. There are no big businesses in the city, and a large part of the population commutes to nearby Kyjov, Hodonín and more distant places for work. From the transport point of view, Vracov has a convenient location, which, together with the good amenities, makes it an ideal place to live. The town's character is largely shaped by two seemingly contradictory factors – the traditions that are still alive and contemporary trends. This contrast is reflected in practically all areas, from architecture to the lives of the locals. There are still traditional features in it, especially winemaking and the eternal relationship to the soil and its cultivation. One can find old back-alley cellars in Vracov, reminiscent of generations of winemakers just a short walk from the recently renovated square. The cellars still maintain the ancient cycle of wine but the traditional methods are now augmented by modern technology where possible. In short, Vracov and its atmosphere are an example of how natural and traditional elements as well as an eternal character can be preserved in today's lifestyle. If you want to experience raw freedom and peace, come to Vracov!